At the time of this post, there were over 80 million Google pages which answered to a Search request for “Autism”. There were 9 million pages for “Autism Cure”. 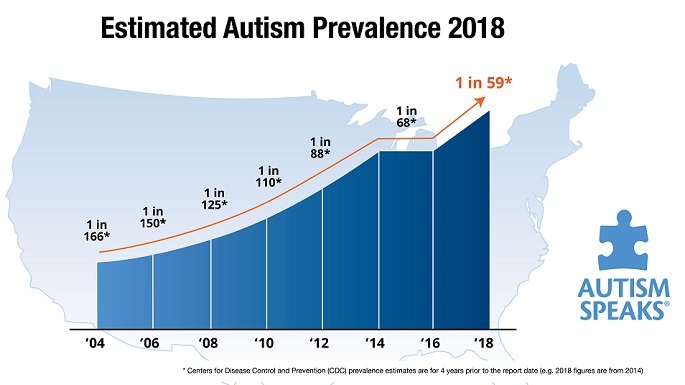 We can’t cure autism yet; we can treat it, however, quite successfully. 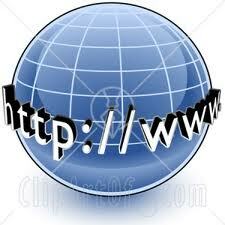 Such a point-of-view confers this site a lower listing on that search topic. However, there were 18 million pages for “Autism Doctor” and TheAutismDoctor.com appeared as the first result. I am very proud of that, because it means that people are reading and starting to trust my opinion about this childhood epidemic. My Google rating comes from my readership, not Search Engine Optimization Services. I get to treat patients from all over the world. Are you kidding me? This is the greatest honor that any doc could ever have. So, that’s a plus. Getting important information out to the public so efficiently couldn’t be accomplished before the Internet. There’d be no ‘TheAutismDoctor.com’! Also, this is my way of venting my frustration about ASD (have I said ‘epidemic’ too many times? ); a modern medical condition which has profound effects upon families, patients, and our educational and healthcare resources – present and future. This method of communication adds to the body of clinical experience by reporting how children change and develop with various interventions. Evaluating those 80 million of pages can best be done by a real doctor, however. Misinformation is rampant. There are treatment protocols that could harm your child, have not been adequately evaluated, or lack reliable data. There are therapies that could deplete your resources at the expense of treatments that have been proven to help your affected child. All information appears equal at this i-level. Just ’cause a person learns about architecture doesn’t make them an architect. I have previously admitted that the traditional pediatric community seems to share a large part of the blame by not listening to parents and exhibiting a lack of intellectual curiosity that this problem demands. Once a parent finds a trusted physician, protocols are best handled at that level of expertise. “Can’t you do treatments every 3 weeks instead of every 2?” seems a silly question for a cancer specialist, right? ASD is a mystery that has only a few really successful interventions. If a patient is going through several therapeutic interventions at the same time, it is really rolling the dice as far as what outcomes you should expect. All parents want more. Just like for neuro-typical kids, you want more communication, academic achievement, maturity, friends, etc. Amid a myriad of valid, but conflicting information that awaits more thorough research, there are many websites promising miraculous and instantaneous symptom reversal with nearly-scientific explanations and elaborate video testimonials from actual parents. Furthermore, the more that the treatment seems to cost, from thousands-to-tens of thousands per treatment – the more it entices serious consideration by some couples. OK, doctors have been wrong about some stuff. But we’re not all ignorant about childhood development and physiology. On the ‘www’, therapies that are unwarranted because of risk, cost, or efficacy appear equal to more sustainable treatment protocols. If I may offer a bit of old-pediatrician advice: that risk thing… you gotta take it into account, and not just say, “I’ll do anything for my child!” The ability for the dishonest to seek out desperate families is greatly aided by web capabilities. Some advisers may be well-meaning, or could have helped another child with some other treatment protocol. It’s not invalid, it’s just not YOUR kid. The scrutiny with which a parent considers the information that is presented by multiple sources of information, including their (regular) pediatrician, their (conventional) specialist, therapists, the child’s grandparents, teachers, books, publications, conferences, research and the web need to be included in order to arrive at the most helpful experience for your child. This entry was posted on Tuesday, February 28th, 2012 at 3:24 pm	and is filed under >ALL<, AD/HD, Alternative and Complementary Medicine for ASD, Asperger's Syndrome, Chelation, Diets, HBOT for ASD, Holidays & Vacations, News-Maybe-Worthy, Patient experiences, Sleep, Vaccines. You can follow any responses to this entry through the RSS 2.0 feed. You can leave a response, or trackback from your own site.